I have often felt that I have a failure of imagination when it comes to figuring out what most people do in their jobs all day. Lately, being in London, with my routines turned upside-down, I am failing to understand what I do all day. My husband reminds me that if I am spending 3-5 hours several nights a week on the phone with clients, and another 4-6 hours during the day working on projects, plans, etc for them, I am actually working. What I am not doing that generally takes up a large percentage of my time, is meeting with potential and past clients and I’m not doing any workshops. I was, during the hours I generally spend on those activities, going to be organizing my computer files; updating my website; all manner of making things better. But I’ve not consistently done any of that. What this has done for me is to confirm (as if it needed confirmation yet again) how important real planning is. I use the word “real” advisedly. Wikipedia (a source for which I have—like many others—a love/hate relationship) defines a plan as “…any diagram or list of steps with timing and resources, used to achieve an objective.” I’m leaning toward love here. It’s the timing and resources that really entrances me. So my “plan” for our 7 weeks here consisted of a wish, an idea, a though about things I want to do. But without clear action steps, a timeline, and objectives (those pesky short-term things you want to achieve that are measurable and specific), failure is more likely than success. So on the long train ride back from Edinburgh yesterday, I resolved to spend time today and tonight developing my plan for the rest of my time here in England (about 3-1/2 more weeks). By doing that, I can guarantee that I will spend less time and accomplish more than I have in the past 3-1/2 weeks. Planning will do that for you. My first step will be to develop clear-cut objectives: What are the 2-4 things I want to accomplish before the end of July? These already have one of the two needed measurements—time. Everything will be completed by July 27th. In order to ensure that I am productive, I also need to figure out what else I must measure. For me, that generally means quantity—how many files, for example, will I go through and organize? I can’t, of course, assume that each step will get done “by July 27th” or, if I’m honest with myself, I will be starting it all sometime on the 25th of the month. So I must develop a timeline for each objective, and put each step somewhere along the continuum. Which is why I always suggest putting things into a calendar, where you can see the tasks you’ve set for yourself. Have I spaced my actions in such a way that I will be able to accomplish them on time? Or have I fantasized that I will do all these things that first week, leaving me nothing but frustrated? This suggests—and it is a good suggestion—that as you develop your timelines, you realistically consider how long something will take. This is often hard: for example, some of my computer files are very short—they will literally take me 10 minutes to open up, review, then rename, re-file, move to trash, or just shut down and indicate in some way (to be defined in my plan!) that this file has been completed. Others have many sub-files. They will take longer). I will need to make an educated guess as to the average amount of time I will spend with each file so I can meet my goal. Once I complete these 5 steps, my job will be to follow my plan, making necessary adjustments to it as I go. As I do this—work my plan—I will no longer have a failure of understanding. I will know exactly what I am doing, why I am doing it, and how I can be most successful. 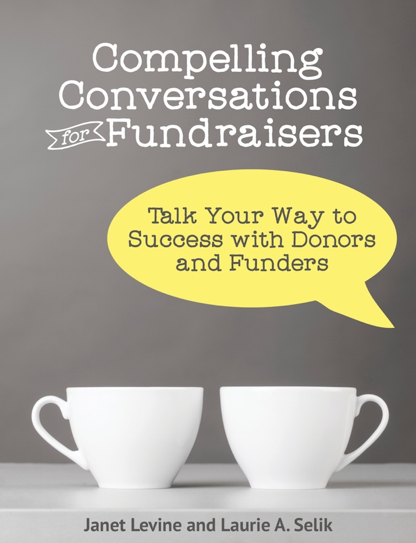 Janet Levine works with nonprofits, helping them to increase their fundraising capacity and be more productive. Learn more at http://janetlevineconsulting. While there, sign up for the free monthly newsletter. This entry was posted in planning, productivity and tagged business practices, cultivation, Goal-setting, objectives, planning, productivity. Bookmark the permalink.